Taking children on Safari? Brilliant idea. You will be making some great memories together as a family on Safari. We have been lucky to introduce Tanzania and Kenya to many children over the years. 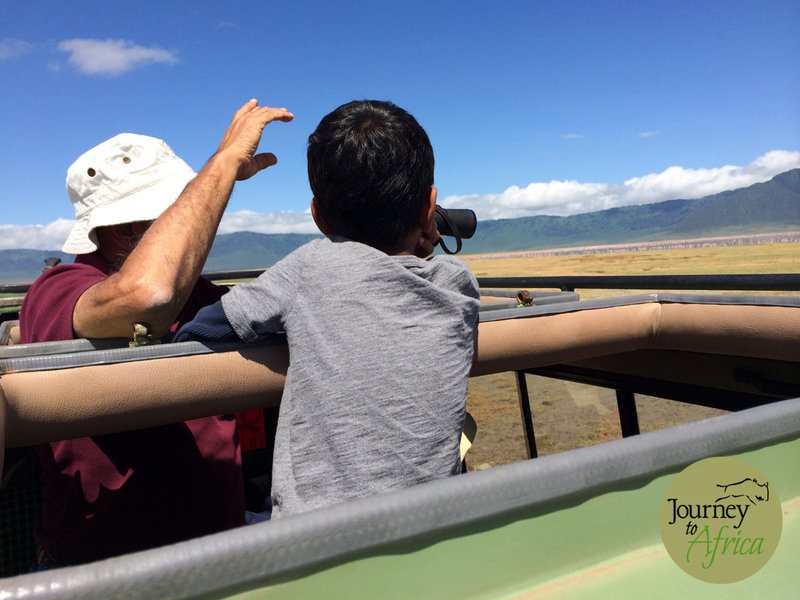 The ideal children age to go on a Safari of course depends on the maturity of your child but generally we say 8 – 9 years old is a good age to head out. That is also the minimum age at some of the lodges on Safari. 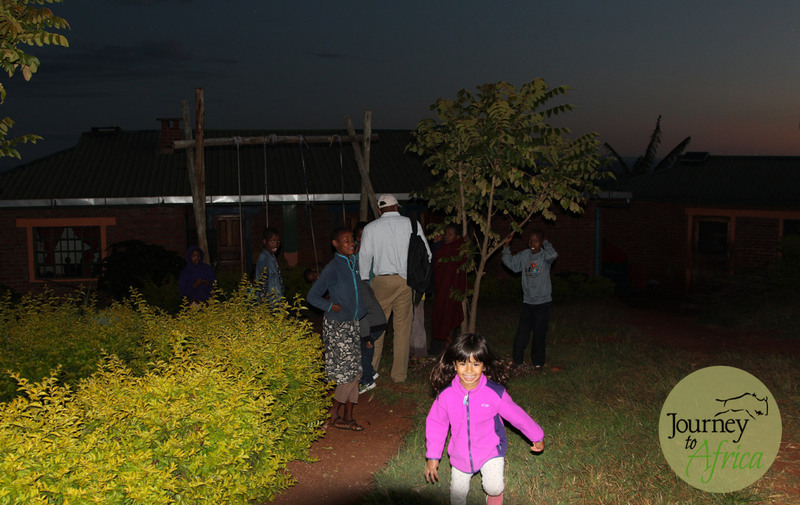 Walking in the village of Mto-wa-Mbu. A chance to see how other people live around the world. We have two families climb the highest mountain in Africa, Mt. Kilimanjaro. Kyle H, 16 year old young traveler stands out. Her parents had already booked their Safari + Kilimanjaro climb and warned me she was not interested in ‘Africa’. Her friends were going to Paris. Well, when she came back after having made it to Uhuru Peak, the roof of Africa, she called to say she was so glad she went . She made great friends with the guide and crew on Kilimanjaro, learned Swahili, enjoyed berry picking with Hadza girls in Lake Eyasi and of course loved seeing animals on Safari. Whew! 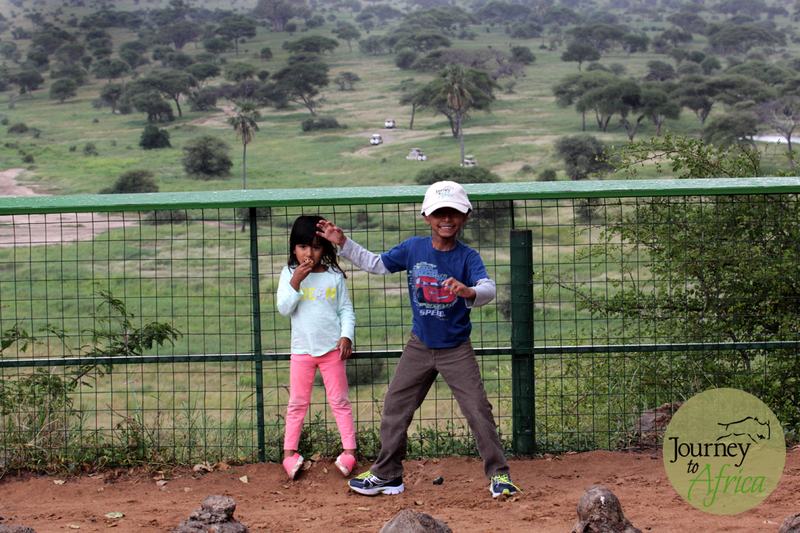 We have a four helpful tips for you to consider when planning a Safari with your children. We would definitely recommend spending at least two nights in each lodge. This way the children get a sense of ‘home’. 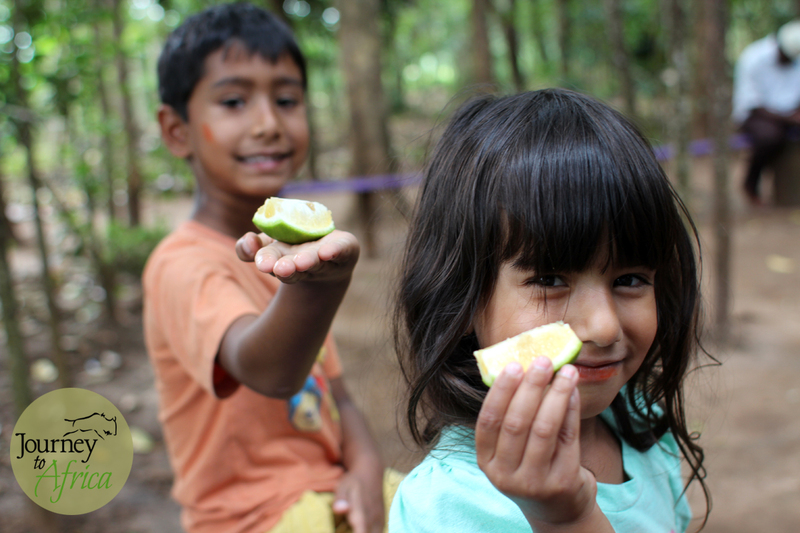 Find lodges that welcome children and have activities to keep them entertained. We have a list of lodges that do just that. Lodges like Mara Bush House in Kenya’s Masai Mara let’s you have some down time, if you like, while the Maasai tribe member takes the children out for an activity around the lodge [besides game driving]. They discuss wildlife and plants, take part in local customs, learn conservation — your children will come back with experiences they will never forgot. 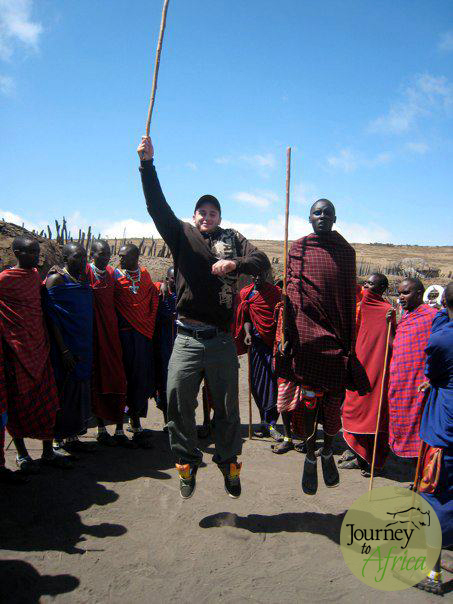 Jake G. having a go at Maasai dancing. Not bad for his first time. Parents traveling with children realize that spending all day on a game drive may not be ideal. Take breaks from game driving from the vehicle. Longer picnic lunches were a good time to stretch our legs. In the distance, you could see a herd of elephants coming for a drink from the Tarangire River. Remember to stretch out during your game drive. Enjoy a long lunch at the picnic spot where the young can ‘run’ around a bit under controlled environment — ask your guide. 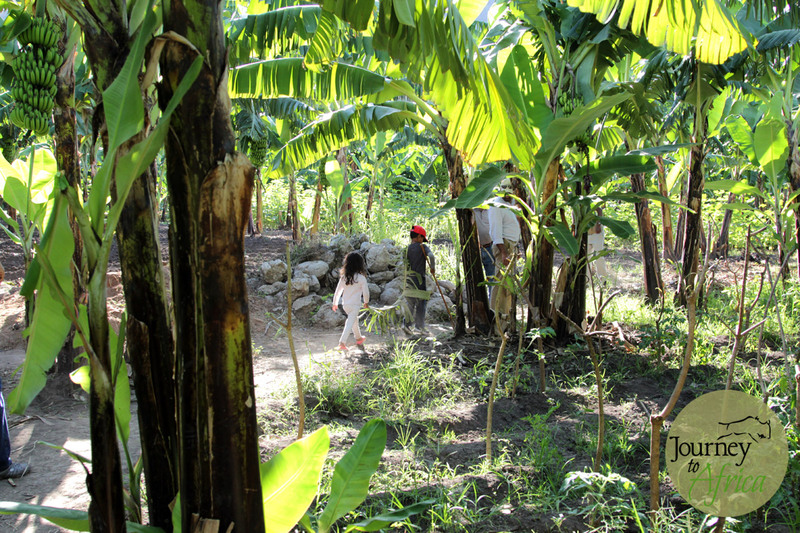 Make stops to visit the local village and tribes. This breaks the Safari a bit and allows the children to get hands on. Be prepared to spend a few hours in the morning exploring and then come back to the lodge. Enjoy the afternoon by the pool or reading a book or maybe watching a movie on an iPad. In the late afternoon /early evening, let them pick a drink of the choice from the lodge and head out for a sundowner where you get to enjoy your drink while watching a glorious sunset. In Stone Town, we had plans to walk the alleyways in the afternoon and do some shopping. Well, diving into the Indian Ocean happened. 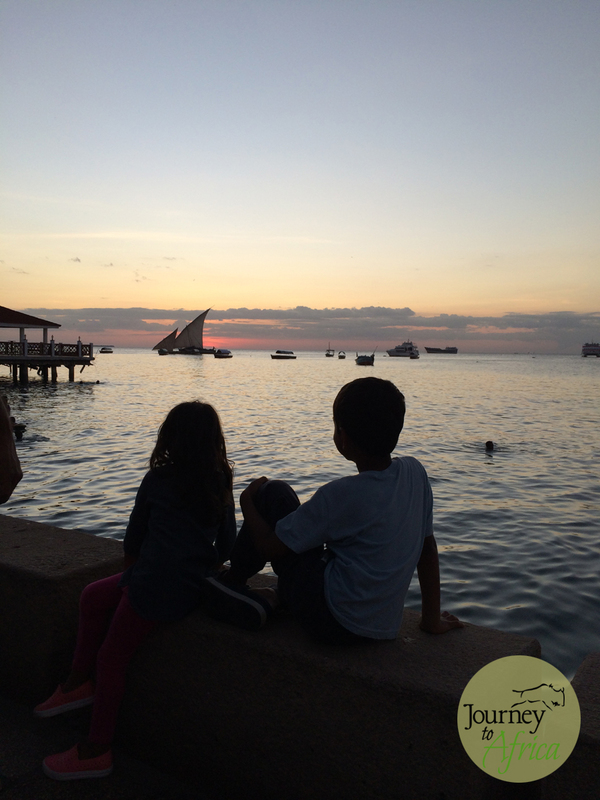 Our children were happy to sit and watch the Zanzibari children jump the wall into the Indian Ocean for hours. Stop. I had to let shopping go and instead I captured their happiness with the beautiful sunset. Our families on Safari do the same. We chose lodges with amazing views so they can stop. 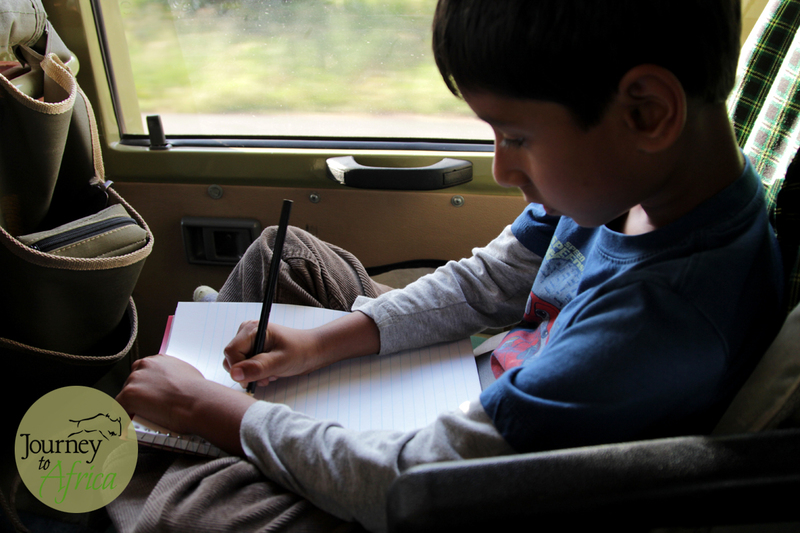 One family spent the whole day at Sayari Camp enjoying wildlife while lounging at the pool and their tent. The father told me he managed to read a whole book, a luxury for most busy parents while still enjoying elephants, birds, wildebeests and zebra strolling in the distance. A good stop for everyone. 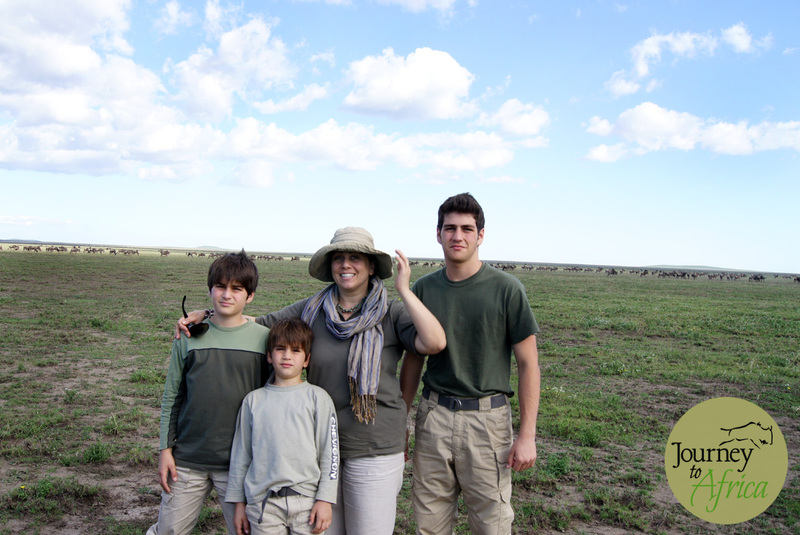 Our young Safari traveler turned 17 years old in Serengeti. 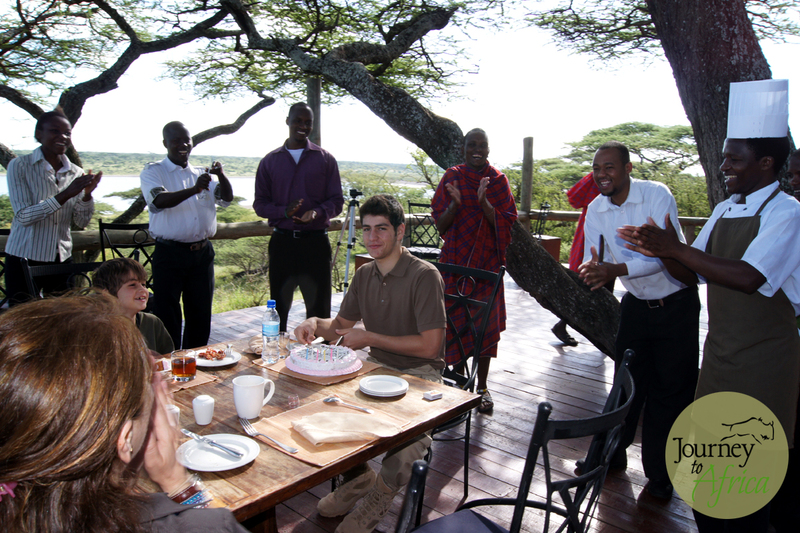 The staff at Lake Masek Tented Camp in Southern Serengeti baked him a birthday day and the staff sang happy birthday to him … for breakfast. They were leaving by lunch time. We hope that memory is special to him and his family forever. 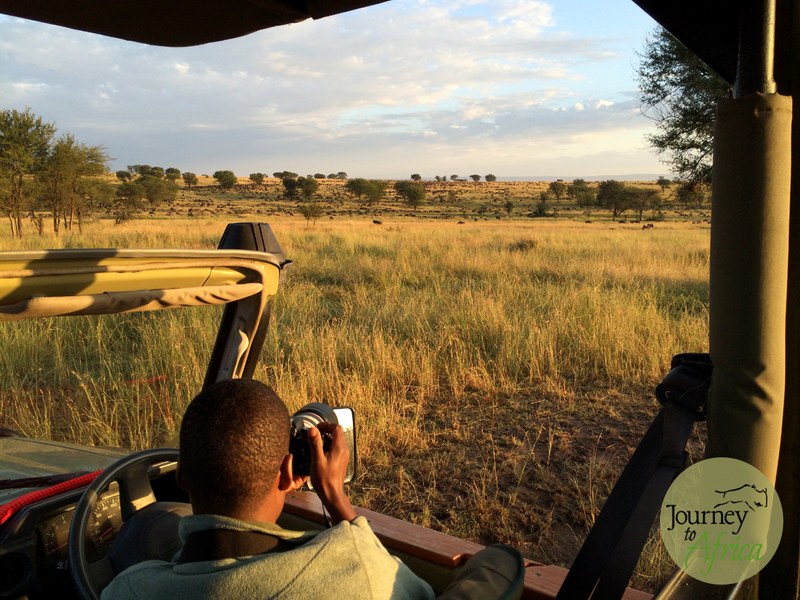 My Safari experience was enhanced this past June on our Safari. My 5-year-old son and 3-year-old daughter are huge Wild Kratt fan, a PBS show fan. It was great to hear my son asking our guide Elisa all these questions about the animals. Why is the giraffe tongue dark? Have you seen a caracal? What makes flamingos pink? You could see him testing Elisa with what he had heard from Chris and Martin Kratt. What can we do daily in our lives for Mother Earth. Some things I was aware of today that I do that hopefully make a difference. Driving consciously. I try to line up my errands so I am not wasting gas. Drinking out of my stainless steel water bottle. Turning off lights when leaving the room and switching off the AC on the second floor since the weather is perfect now in Houston. Putting this laptop to sleep mode when not using it. Planting a meyer lemon tree in our yard. Non-toxic cleaner like simple vinegar for cleaning the kitchen and Seventh Generation for laundry. Using an Amazon Kindle device for reading a book. At Journey To Africa, we are happy to use lodges + camps and ground partners that support solar energy, participate actively in reforestation programs in many areas in Tanzania and supporting our friends at Carbon Tanzania, and in the forefront in conservation of our endangered wildlife via programs like Honeyguide Foundation. Here is to more beautiful pictures from our beautiful Earth. On my first night back in Serengeti, I will be overnighting in Olakira Camp, one of our favorite camps to recommend to clients and luckily, our clients agree. Olakira Camp moves between two locations in vast Serengeti. From December to March, it is in the plains of Southern Serengeti where you have close access to the Wildebeest and Zebra migratory animals giving birth and grazing the short fertile grass in this volcanic region. 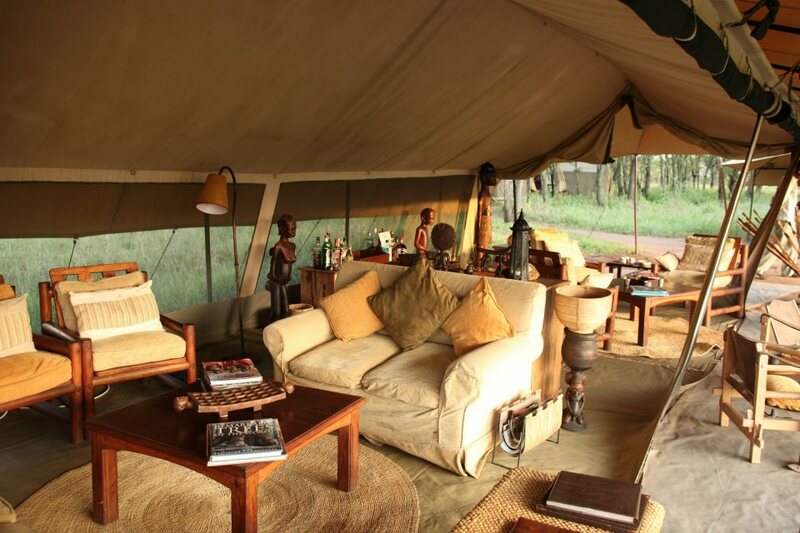 From June to November, the camp moves to Northern Serengeti located conveniently close to the Mara River. The migratory animals cross this river to head back and forth between Northern Serengeti and Masai Mara in Kenya. I will be in Northern Serengeti, an area that we love and keep coming back. Great setting for a lounge. Chat stories of your day with other guest over a glass of wine or grab your book and enjoy the fire. A great spot to enjoy our delicious local grown meal. 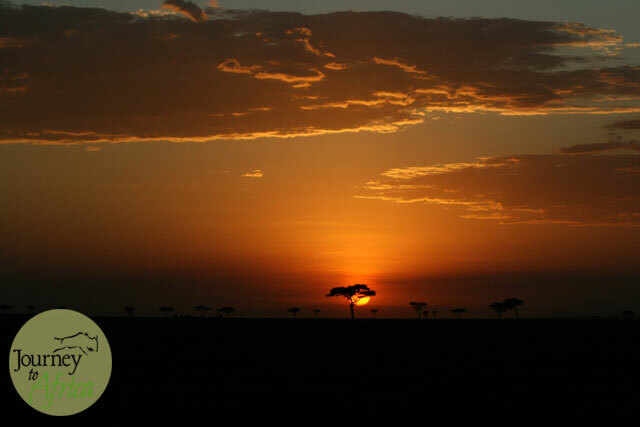 Dunia Camp is located near the beautiful Moru kopjes in Central Serengeti – big cats love to use the kopje to spot its next prey. This permanent camp is great year round. We use it regularly from March/April to June and when combining two camps. Advantages staying here is the proximity to Seronera River, there is always water to keep resident animals in this region. With impalas, gazelles around, the cats always have a sustenance to keep them around. Also close by it the rhino sanctuary and chances of spotting an endangered black rhino are possible. Dunia Camp lounge – get comfortable and go over your day. Tomorrow, is another adventure. If you combine Olakira Camp and Dunia Camp or use just one camp, we can be sure you are going to enjoy a lovely comfortable room, great food and wine, stories with camp managers and guests. Karibu Safari with Journey To Africa. Let us start planning your Safari.